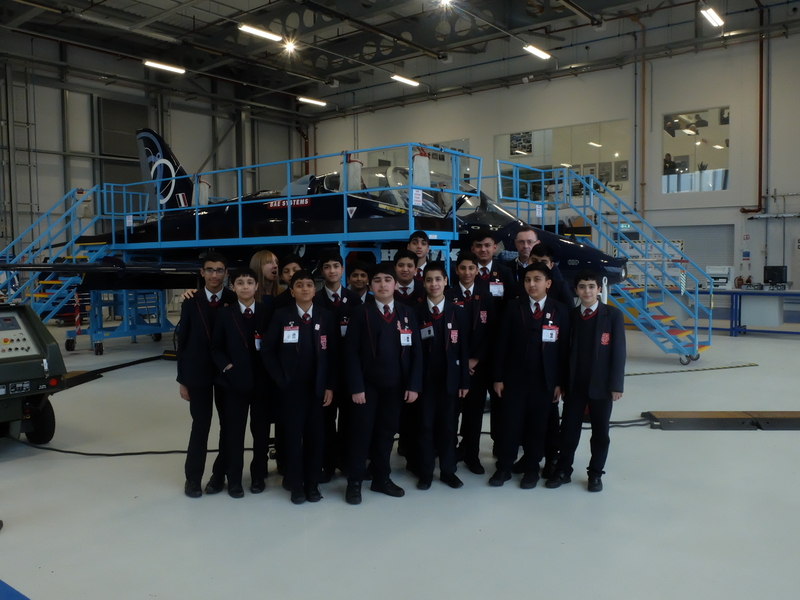 Year Eight Pleckgate High School students have been inspired by their trip to BAE Systems at Salmesbury on a Support Products Workshop. The students were so impressed that many of them now want to be an engineer and work at BAE Systems. They had a tour of the site and got to see and have their photo taken in front of a Hawk fighter jet. Student Ali Umar said: “I enjoyed the Tornado fighter jet and the astonishing engine and seeing how good the place was. Huzaifa Delawala said: “When I went to BAE Systems it was a really good environment. The people that worked there were very friendly and supportive. The exciting bit was when they were showing a fighter jet. Daniyal Nadat described BAE Systems as ‘breathtaking.’ “I enjoyed seeing the Tornado fighter jet and I loved seeing the inside of the jet. It was a good feeling. Huzayfah Jariwala added: “When I found out I was going to BAE I was ecstatic. “When we went we had a tour of the whole place and we got to see the jet fighters which were gargantuan. The technology that they use was amazing. “Every detail was clear and the staff have to work really hard to keep everything up to scratch. It was a new experience for me because I have never realised how hard people work. It inspired me and showed different aspects of jobs.